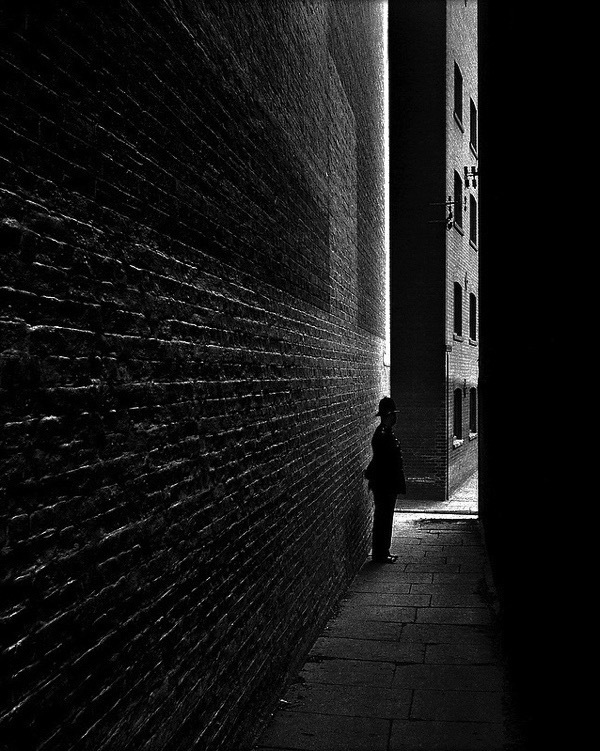 The most influential modernist photographer of his generation, Bill Brandt revealed a unique way of interpreting the world through photography, making the mundane appear strange and, at times, unnerving. 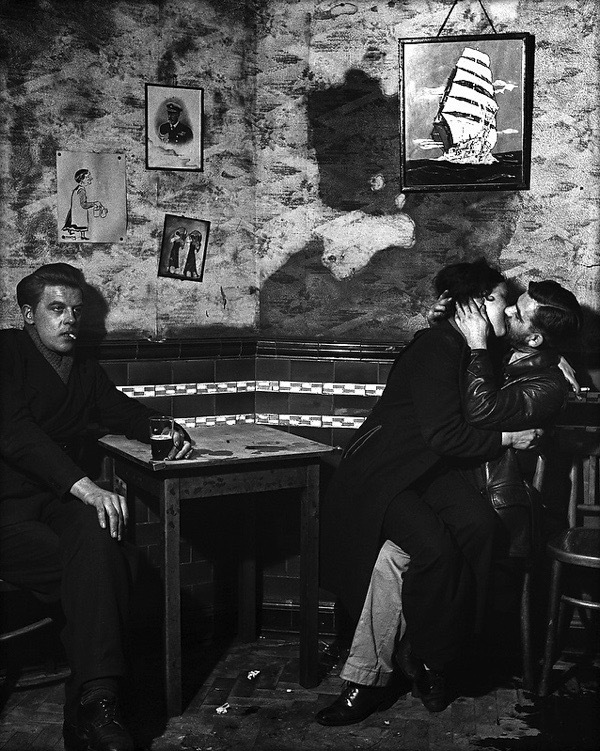 Over three decades, his images of London and elsewhere in England, represent an important record of social history in this country. Although he is less well known than figures such as Henri Cartier-Bresson, Brandt remains one of the most complex and significant personalities in a golden age of photography on film. Contemplating Brandt’s work, the first thing you must recognise is that his images share a common quality – as a viewer, you are seeing what he wants you to see. Even the subjects of his photographs are not always who they purport to be. Brandt sought reality through artifice - what mattered to him was the final image not his route to it. He controlled every aspect of his photography, composition, setting and printing. His captions are often deliberately ambiguous, leaving the viewer to draw their own interpretation, contributing to the surrealism that pervades much of his work, especially his portraiture. 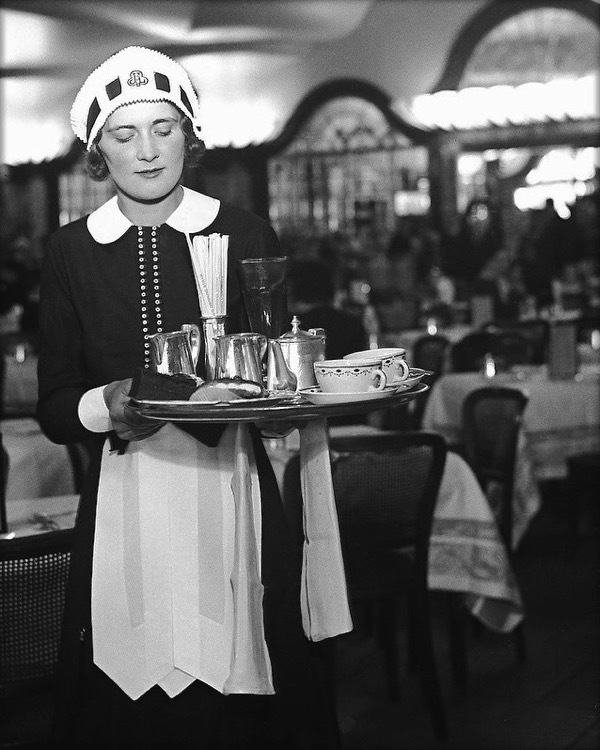 The influence of earlier photographers such as Man Ray and Brassaï can be seen in his early work. Yet Brandt later surpassed both – in terms of his ability to generate a sense of wonder and also of disappointment, when his style became inconsistent and unpredictable. 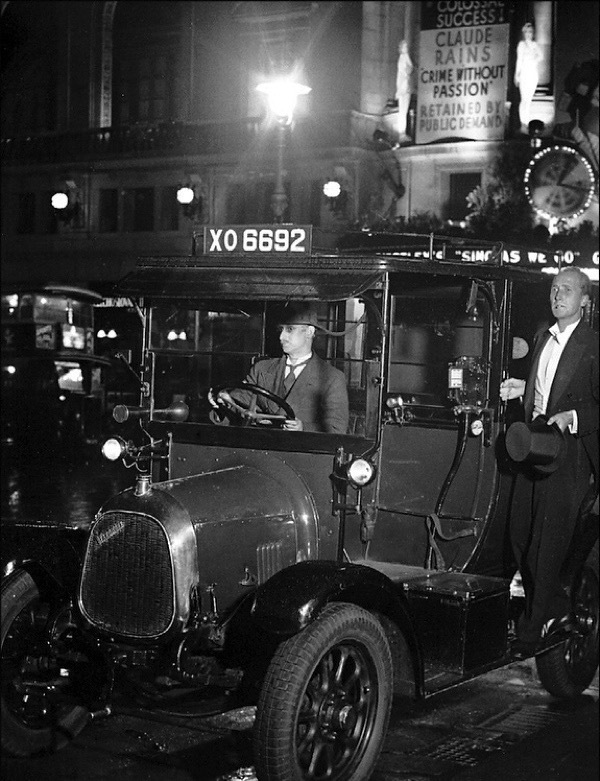 Brandt established his reputation in the thirties through publication of two books: The English at Home (1936) and A Night in London (1938). 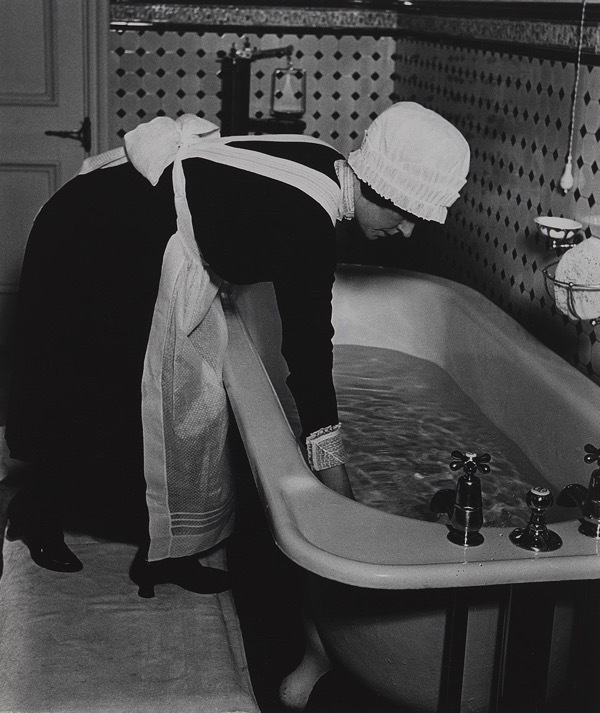 The photography in The English at Home bears similarities to the work of Edith Tudor-Hart and they had both been in Vienna in 1934, although their lives and motivations were distinctly different. 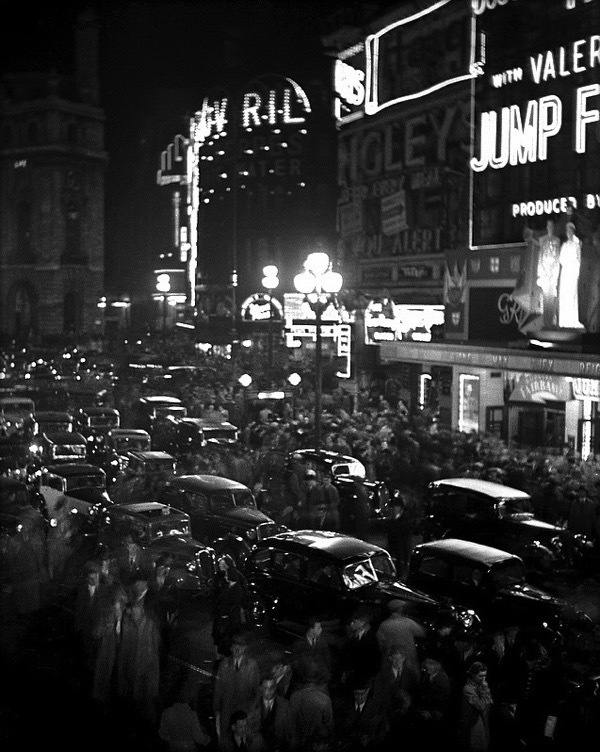 A Night in London was undoubtedly influenced heavily by Brassaï and his seminal Paris de Nuit (1932). Both of Brandt’s books were social documentaries and comprise images that are immediately accessible yet also sometimes challenging to the casual viewer. Couple in Peckham, 1936 is one of these unsettling images that raises more questions than answers, an ambiguity compounded by the wording of the title. Unlike some of his contemporaries, Brandt pursued an unfettered approach to photography, in line with his personal life which was Bohemian and unconventional for the time. He cast aside aesthetic rules in his search for artistic expression through photography and rejected social norms in his personal life too. This disregard for convention was the key to many of his most striking images. Born into a well-off family, Brandt drifted around Europe throughout his twenties, absorbing influences which would shape his creative work. He said that he began his photographic career in Paris in 1929, where he read surrealist publications such as Bifui, Varietes Minotaure which were publishing photography for its poetic quality for the first time. Also influenced by surrealist films such as Bunuel’s Le Chien Andalou and L’Age d’Or, he saw these as catalysts for a new age of poetic photography. Among the influences acquired during these Paris years, which shaped the rest of Brandt’s career, was the photography of Eugène Atget who had died a few years earlier but whose work was just being recognised then. Brandt was fortunate to be offered an opportunity to work as a pupil in Man Ray’s studio and this was a seminal point in his photographic career. He learned from Man Ray who became his role-model. Brandt considered him to be the most original photographer in the world, working at that time with his inventions of solarisation and Rayographs. Brandt was attracted to photography both as social reportage and as poetry, with Edward Weston and Man Ray drawing him towards the latter. 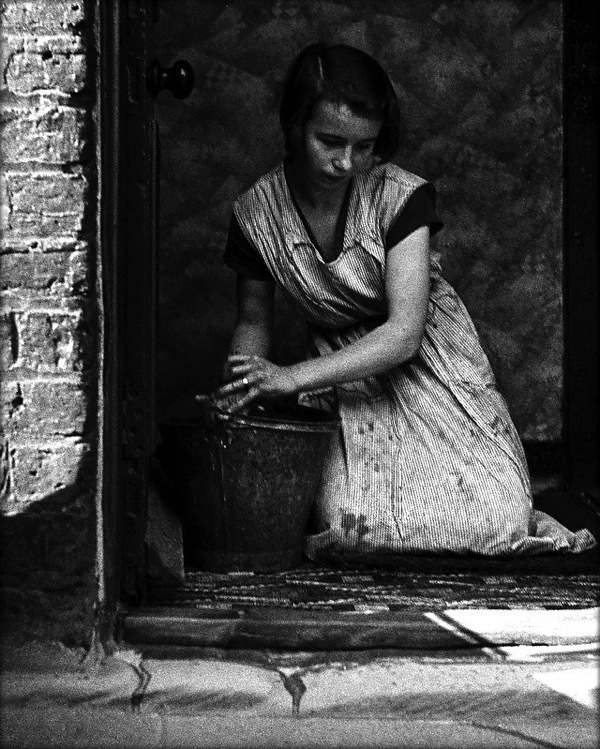 Yet before the war, Brandt’s photography was mainly social documentary and, like Edith Tudor-Hart, he was fascinated by the extreme social contrast between the rich and poor. 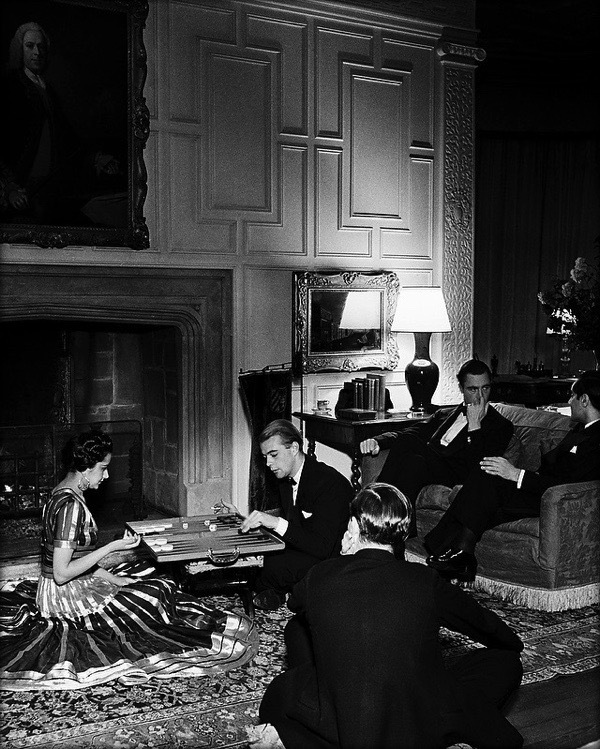 When photographing for The English at Home, Brandt first started in the West End, portraying the well-off and the social structures that supported their lavish lifestyles. Then he contrasted these images with a series of photographs of the East End. To this day, these images retain their impact as records of lost lifestyles at both ends of the social spectrum. 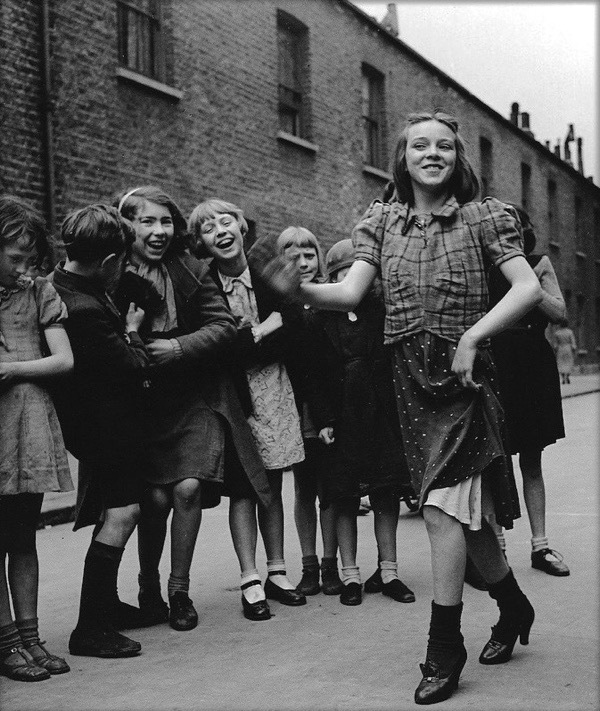 His photograph East End girl dancing the Lambeth Walk, 1939 possesses a joyful innocence that is in poignant contrast what lay just ahead. 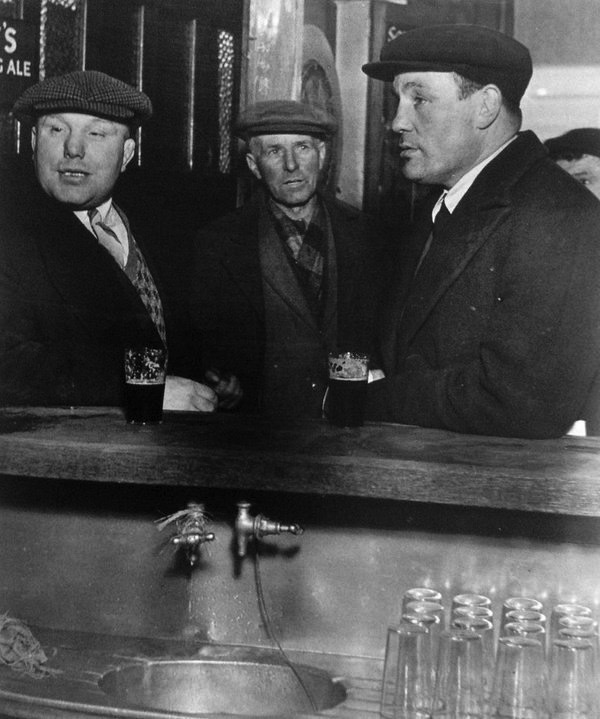 In 1937, Brandt headed north to the Durham Coalfields and took some of his most powerful images of England in the thirties. 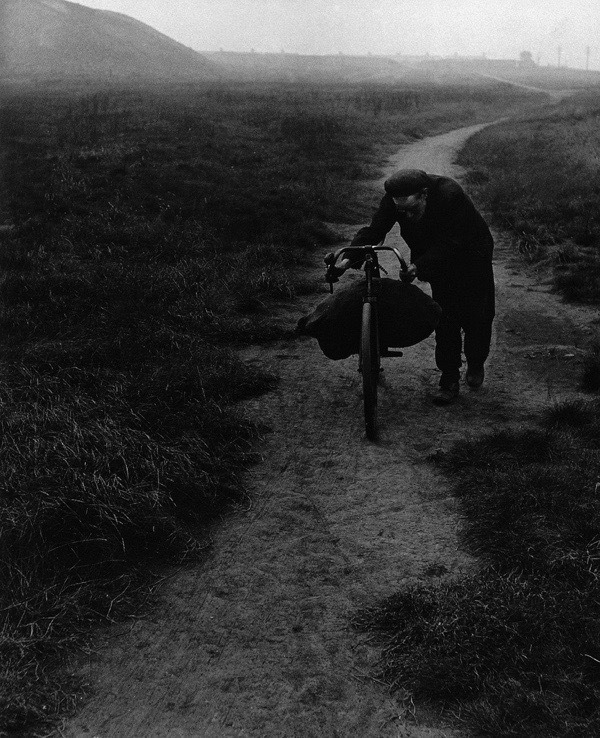 He considered his photograph of a coal searcher with a bicycle to be the most successful of this series and it is impossible to look at that image without being moved by his sympathetic representation of working-class life during a period of mass unemployment. 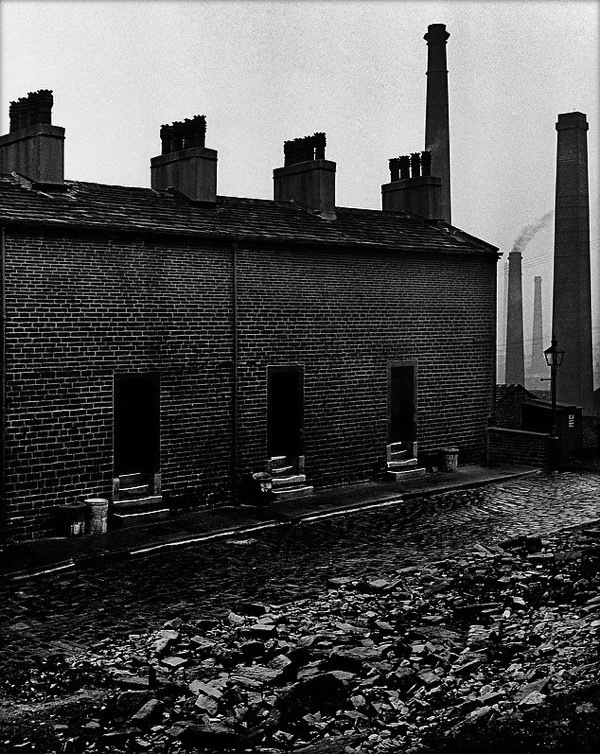 Brandt’s Coal miners’ houses with no windows to the street, East Durham 1937 is stark and surreal, inviting accusations that it was manipulated although there is no evidence that it was. The picture’s location is deliberately ambiguous and it challenges our preconceptions of life in East Durham at that time. 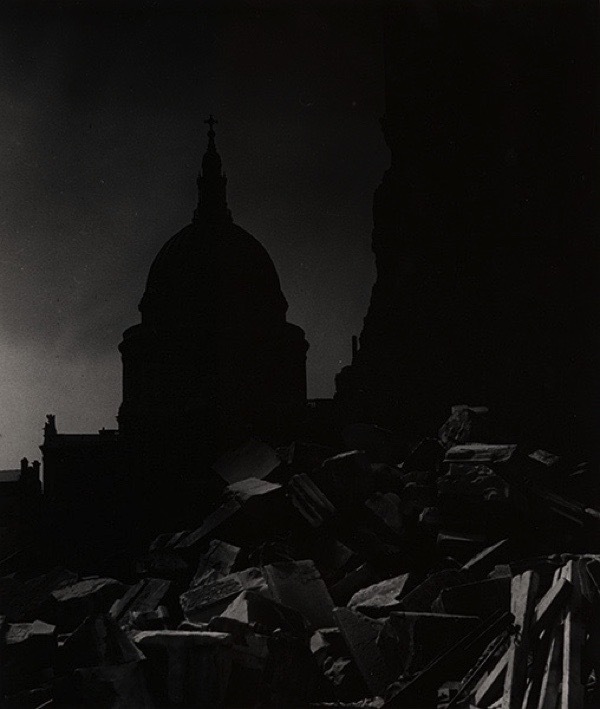 Returning to London, Brandt set about photographing the nocturnal city at night for his next book. 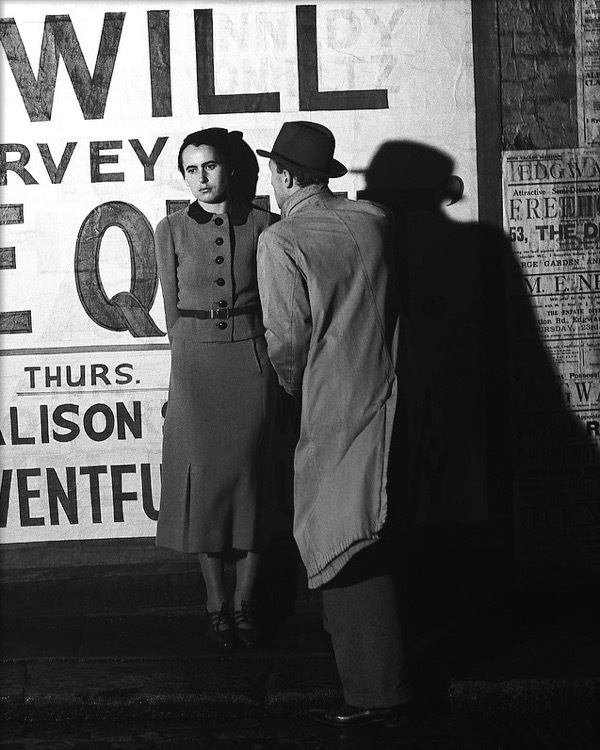 The result was a remarkable series of noir photographs, some of indistinct shapes and others of characters lost in the blackness of London after nightfall. 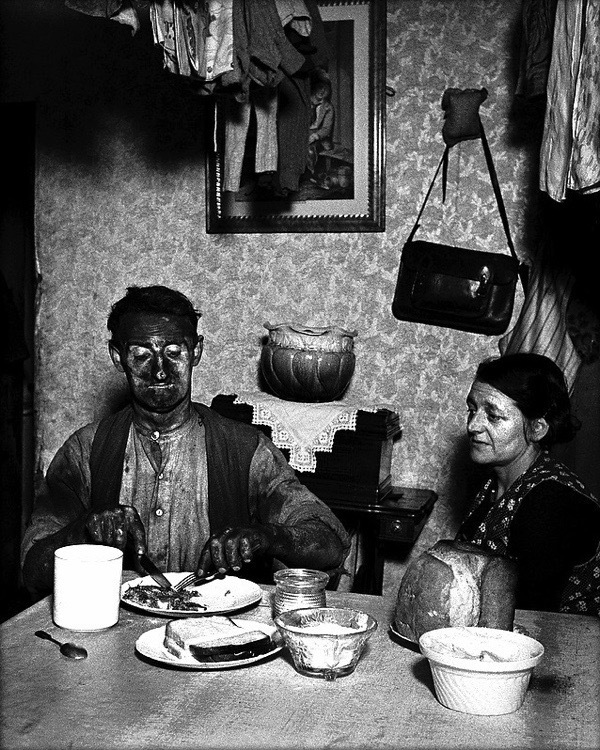 Unlike those who engaged with their subjects, Brandt was deliberately distant when photographing people in their homes, concentrating on the surroundings and the image as a whole. It was an approach which contributed an otherworldly feel to the images. When he moved into portraiture, the majority were initially published by Liliput and then Harper’s Bazaar but he also had pictures printed in Picture Post. His focus was on literary and artistic figures and, to my knowledge, he never photographed politicians or sports personalities. 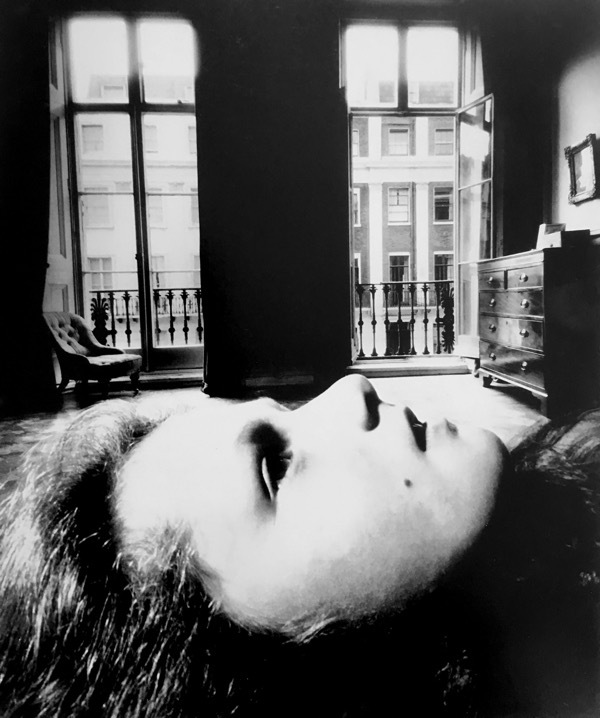 Brandt began experimenting further with his technique, purchasing an old extreme wide-angle camera and using this to challenge traditional portraiture. The distorting effect and deep depth of field were reminiscent of the new cinematography at that time and one of his most well-known images in this genre Portrait of a young girl, Eaton Place may have been inspired by Orson Welles’ Citizen Kane. After the war, Brandt’s style changed dramatically again. He lost interest in documentary. Everyone else was doing it by then. Often asked about this change, he revealed that he believed the basis of his social images of the thirties had been eroded by a new social order. 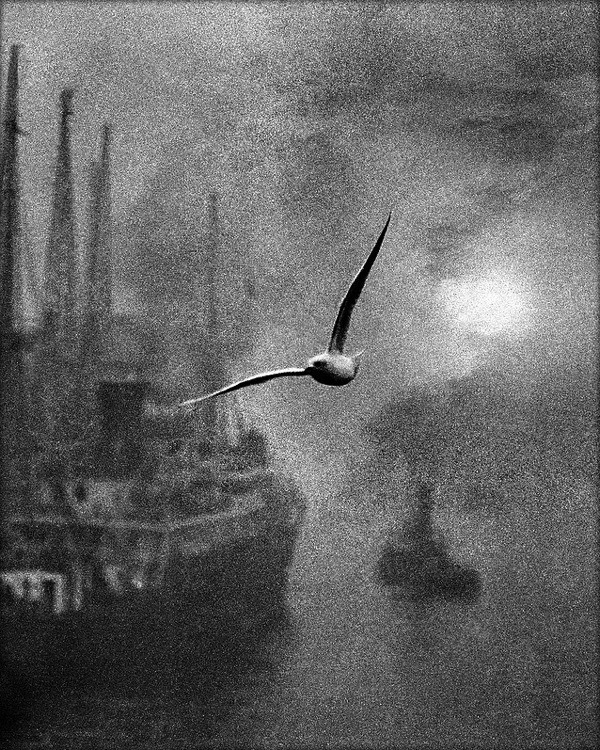 Much of the character of what Brandt achieved in his earlier period was manufactured in the darkroom. This work was notable for its subtlety – something which can only be appreciated in the original print. It was one of the reasons why his work attracted the attention of museums and galleries. When Brandt changed his style, much of the subtlety of his atmospheric images of the thirties was deliberately sacrificed and, in his nudes of the fifties, we are confronted with deep shadows and burned-out highlights. It was an approach which led to the erosion of his reputation in some quarters but Brandt remained defiant. 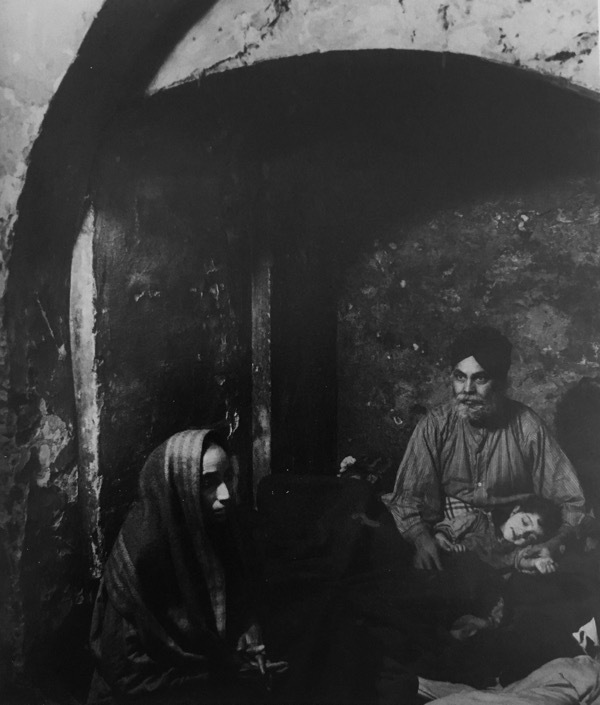 The impact of this aesthetic transformation was revealed in an exchange of letters between Edward Steichen, curator at the Museum of Modern Art in New York, and Brandt in 1959 in which Steichen reluctantly expressed his concerns over what he perceived to be the deteriorating quality of Brandt’s prints. Brandt was deeply hurt by Steichen’s criticism but defended the change, saying that the highly contrasted black and white effect suited his pictures better. Since his death, copies of Brandt’s photographs made without regard to his artistic preferences and distributed through the internet have compromised the understanding and appreciation of his photography. The only real way to understand Brandt as a photographer is through his original prints. The quality of reproduction in Shadows and Light by Sarah Hermanson Meister is the closest any publication I am aware of has come to Brandt’s intentions and I recommend it to anyone who wishes to learn more about this remarkable photographer. Perversely, I’ve always preferred Brandt’s landscapes to his nudes (!). 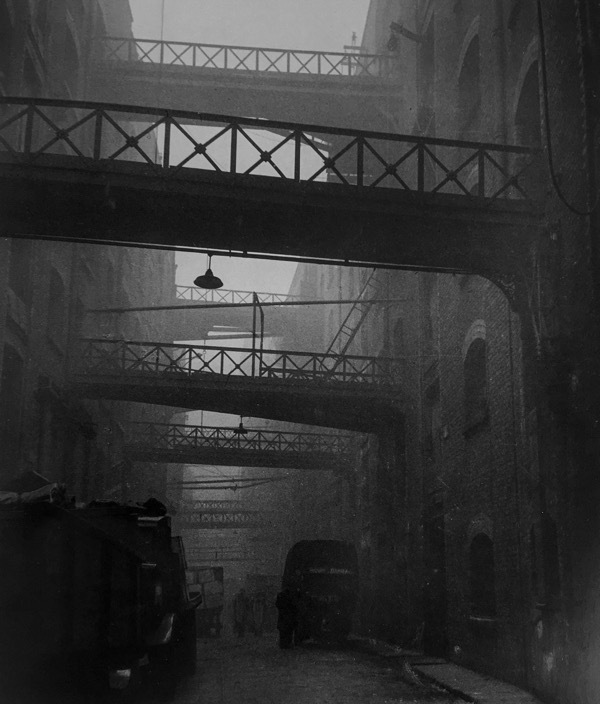 ‘Policeman in a Bermondsey Alley’ and ‘Battersea Bridge’ are magnificent compositions. Your recommendation for the book “shadows and Light” is completely justified. I have a copy of this book and recommend it as required reading for anyone, whatever skill level, who has an interest in photography. I would also like to commend you for the way you introduce your readers to those London artists, and photographers that would otherwise get overlooked. Brilliant B & W photography of the past. 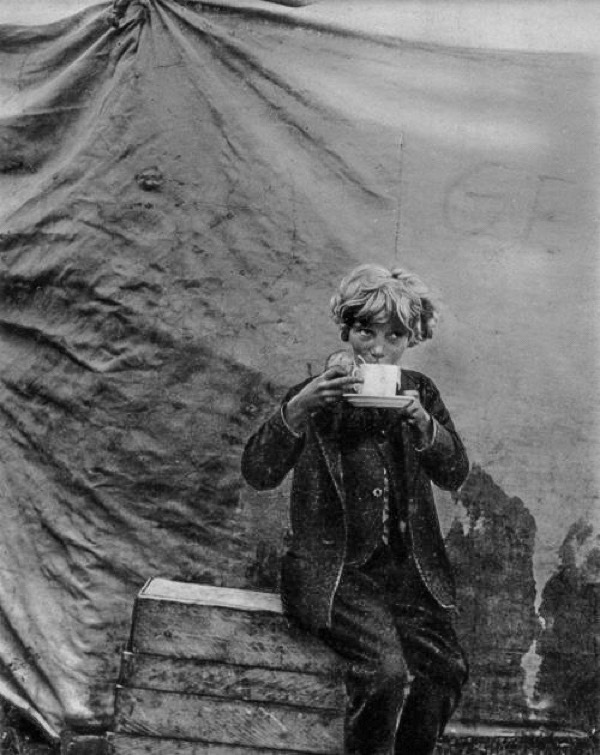 Beautiful pictures… We need these constant photographic reminders to impress on us that there were, for many, never any ‘good old days’… Just hard graft & poverty. It saddens me that in 2017 we still have people all over these isles living in squalid conditions… We need more contemporary photographers like Brandt documenting these times? Impossible to have a favorite in this magnificent array — But I confess that the couple in Peckham have me wondering, pondering, speculating, taking-notes-for-a-short-story, and staring deep into the photo for further clues. I am under their spell. Yours is an incredible nation, and this gent was one of your most gifted chroniclers. Bravo. These are brilliant – most of them I have never seen before. 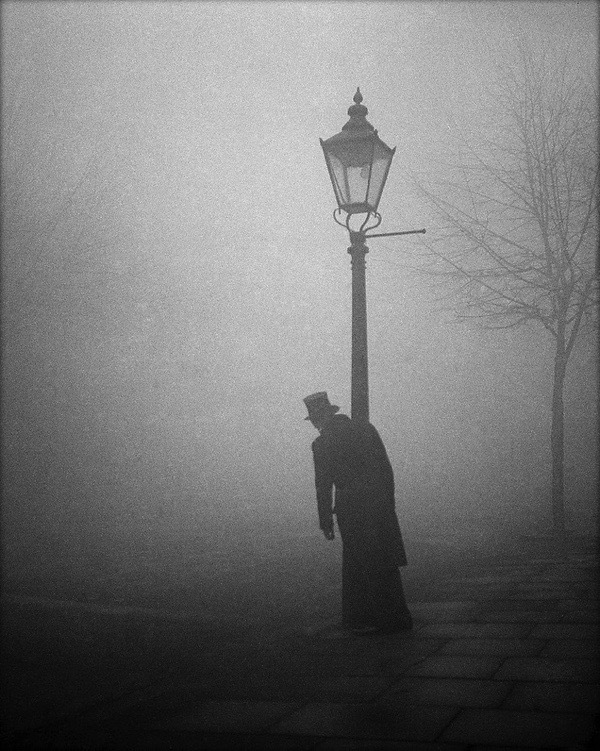 The poor soul using the lamppost to hold himself up is my favourite. And the Mayfair drawing room. Both poignant. It’s a toss-up between the opera hat and the fish hat, but I think I would rather have a fish hat. Brandt regularly used his brother Rolf and sister-in-law Ester in staged scenes that appear natural; they are the couple in Peckham. Are they arguing, or is he propositioning her? He also printed some London scenes very dark, to resemble night, with varying success; in some cases the shadows are far too pronounced to be cast by the moon or street lights. 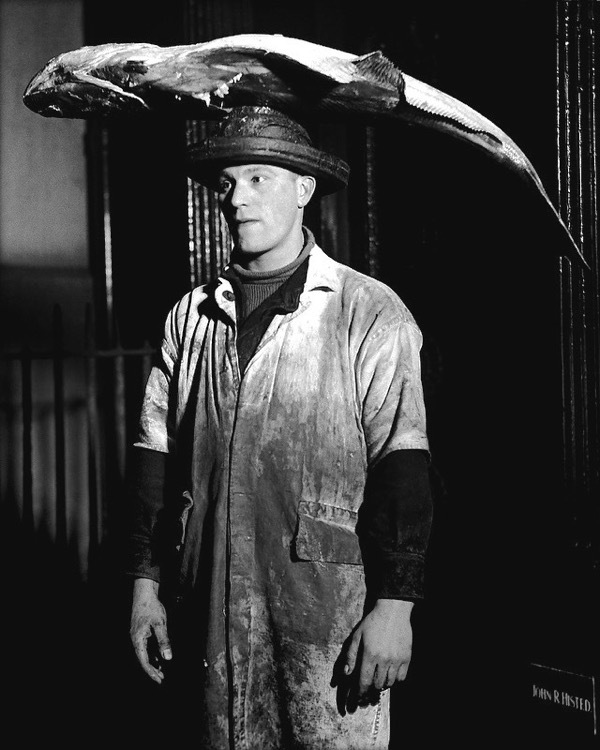 Brandt is a towering figure in photography, his images still fresh and strong, and dripping with uneasy atmosphere. One of the greatest photographic artists who knew exactly what he wanted and how to achieve it. Brandt very rarely took a quick picture. Most are set up very carefully, as Nicholas Sack has previously said Brandt used his brother and sister-in-law for the couple in Peckham. The photograph of the policeman in Bermondsey was also staged to look like a candid shot. It didn’t really matter because the resulting image is what Brandt wanted. Of all the photographers of his time Brandt was the one who was looking not only for the picture but also for the art. His images stand alone as pictures that not only illustrate a story but also as works of art. 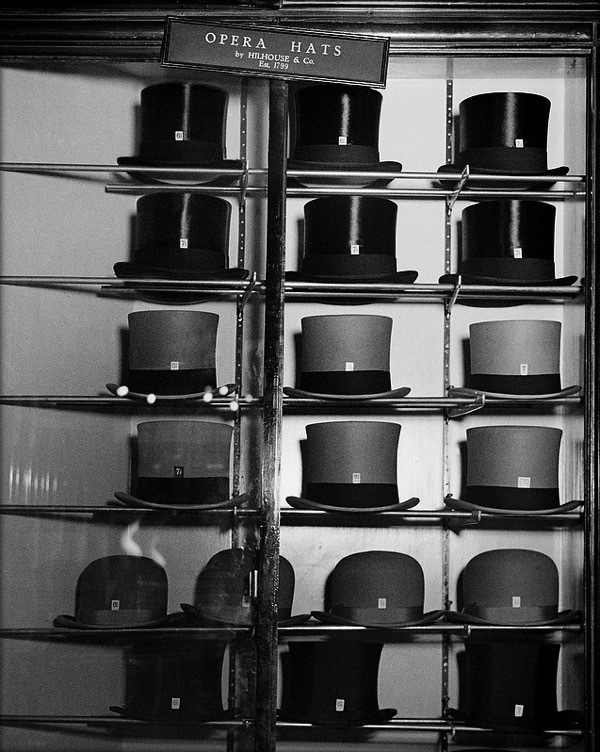 His skill in the darkroom is legendary, he would manipulate every print until he had exactly what he wanted. Look carefully at his famous photograph of Halifax with the children running alongside the railway tracks towards the camera with the sign on a post that says “Catch Points”. There is a chimney on the left with a stream of smoke issuing forth…but the smoke was put in afterwards by using the simple method of shining a small torch on the printing paper which produced the black smoke. Simple but very effective. Everything is not what it seems in Brandt’s pictures but that was what made him great. He made the camera tell untruths, just as painters have used all manner of tricks to produce great pictures, for instance Turner’s “The Fighting Temeraire tugged to her last berth to be broken up”. Everything in this painting is a product of Turner’s imagination but it is admired and loved by millions for what it is, a beautiful work of art. Brandt may not be Turner but many of his pictures are beautiful works of art. Nowadays it would be almost impossible for Brandt to get his work accepted and exhibited. Photography now – at least for me – is in a state of deep decline, driven by the false construct of photography having to be part of some concept or other. Pictures have to be about something, rather than of something. 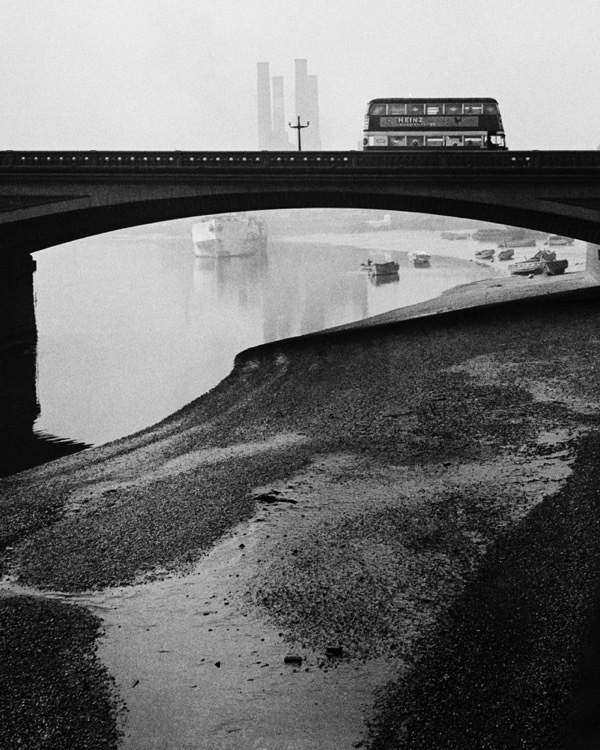 There are few photographers today who produce work that can match Bill Brandt.